We connect teens in foster care with adults who become their support systems, ensuring teens have adults to rely on for advice, guidance, affection and a sense of belonging. Teens who “age out” of foster care face a much more difficult transition to adulthood than their non-foster care peers. At age 26, more than a third have experienced homelessness; only 6% have completed a two or four-year college; almost half are not working; and nearly 60% of men and 30% of women have been convicted of a crime. One caring, committed adult in the life of a child in foster care can make all the difference between struggle and success. Connecting teens. Creating families. Changing lives. I was surprised that DCFYI is the only consistent presence in the lives of many of the teens. It's a lot of fun and there's an amazing community between the volunteers and adults. Going to events was something I always looked forward to and I enjoyed getting to know the other adults and the teens. I didn't expect to get connected to a whole group of people. It’s a choose your own adventure program; you can be as involved or not involved as you choose. There’s a spectrum of ways to engage from driver to host parent. There aren’t expectations for how involved you will be in the program. If time is the problem there are different ways to still be involved. This is not just a program or a one off volunteer opportunity where you can pop in and out, it’s a community that is challenging but also really rewarding. It’s exciting to see different relationships formed between teens and adults, between adults, and between the teens themselves. As a foster youth I always dreamed of a family, a mentor or someone who was my lifelong connection. I didn’t find many of those connections, even though my goal for permanency was adoption. Time doesn’t stop just because you haven’t made that connection, so I grew up, wondering was I too old to have these things. 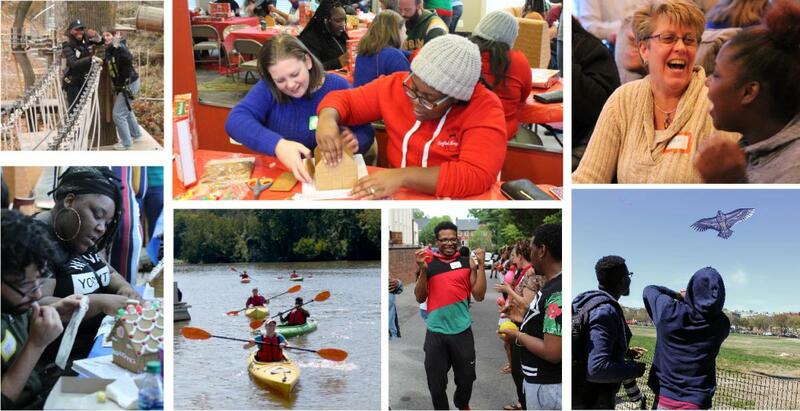 People weren’t looking for a teenager to become their lifelong connections, well that’s what I thought until DCFYI. Family & Youth Initiative grew out of a need to support teens in foster care who would otherwise not have the lasting support of caring adults. Teens who “age out” of foster care face a much more difficult transition to adulthood than their non-foster care peers. At age 26, more than a third have experienced homelessness; only 6% have completed a two or four-year college; almost half are not working; and nearly 60% of men and 30% of women have been convicted of a crime.